Can we just all take a moment to appreciate all the creamy, dreamy decadence going on in this picture above and the fact that it’s all 100% dairy free??? 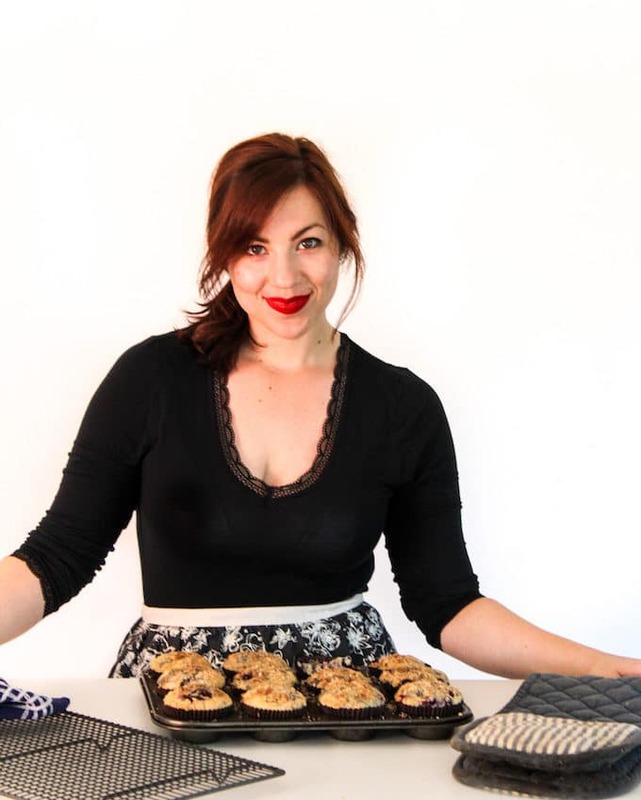 This recipe is incredibly easy requiring just 4 ingredients and a blender to mix it all up. Making the ice cream is really just a matter of blending it all up and then storing away until frozen. Every hour or so you just need to check in on the ice cream and stir it around breaking down the large icy bits of the sides which will probably freeze first. After about 6ish hours this should be frozen enough to scoop and enjoy! In the recipe I list “1 14 oz can full fat coconut milk” twice. The reason I do this is because you need to do slightly different things with each can. You need to add 1 whole can of coconut milk as listed and then with the with the second can you only need to add the thickened coconut cream and not the coconut water. 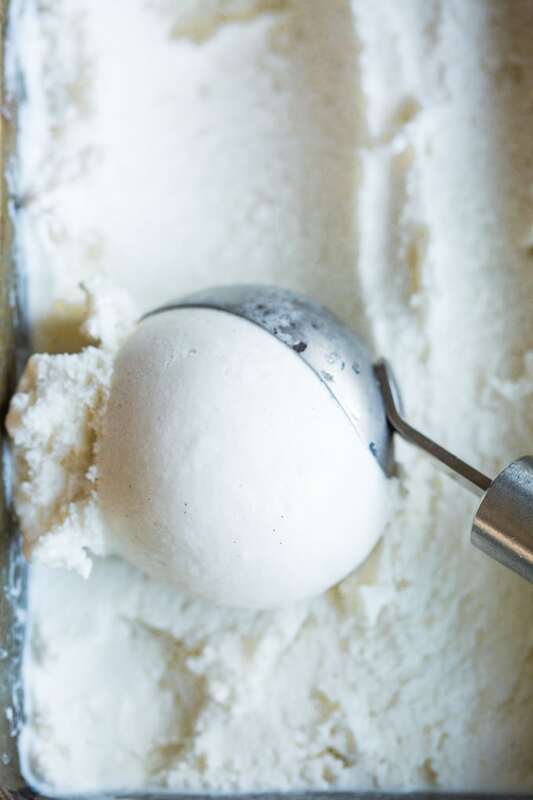 Add the extra coconut cream sans water makes for a thicker, creamier ice cream. Too much added water here and the ice cream tends to be more ice than cream. 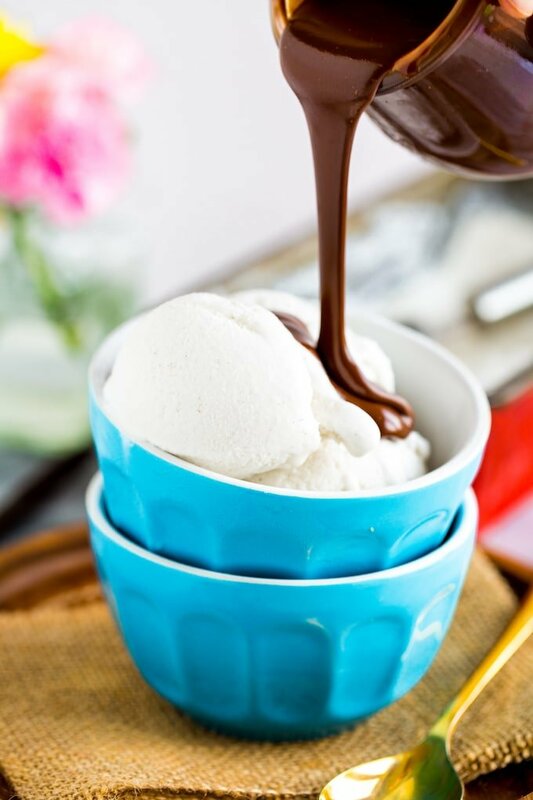 Aside from that this ice cream is pretty straight forward and easy to make! 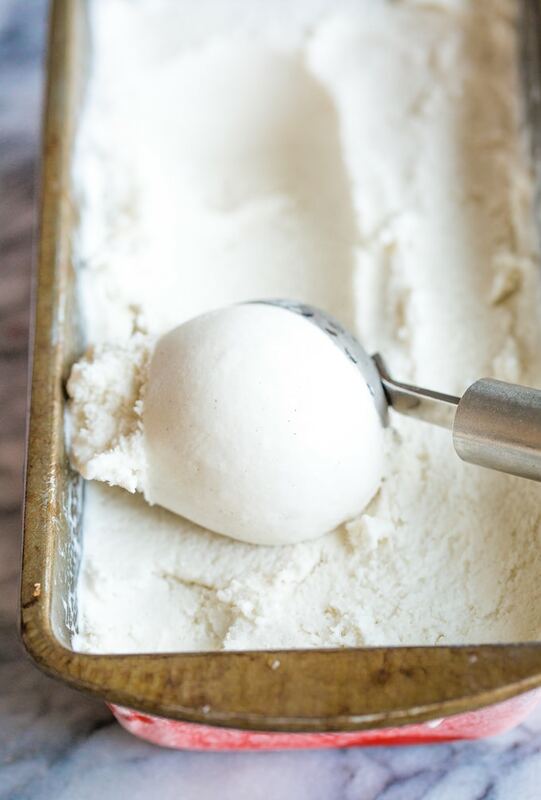 This coconut vanilla ice cream makes a great base for experimental ice cream flavours! To spruce it up a little bit you can add in all kinds of mix ins and toppings: mixed nuts, broken up brownies pieces, hot fudge sauce – whatever you want! If you really wanna get crazy then I’d also recommend making this homemade chocolate bowls to serve it in. Super fancy. Super easy! Don’t forget to #asaucykitchen on instagram if you try this Coconut Vanilla Ice Cream. I love seeing what you make! You can also post your pictures to my facebook page! Add everything to a blender and process until smooth and combined. Taste and add a little more sweetener if needed. Keep in mind that the ice cream won't taste as sweet after it's been frozen. If using an ice cream maker then follow the manufacture instructions for making ice cream. For a no churn version add the ice cream mixture to a freezer safe container and place in the freezer for 4-6 hours. Every hour or so you'll need to take out the ice cream and mix by hand until it's done. When you're ready take the ice cream out of the freezer to defrost slightly - depending on how long it's been frozen it may need about 15 minutes before you're able to scoop and then enjoy! How to cut and use a vanilla bean: lay the bean down flat on a cutting board. Use a sharp knife to slice down the centre of the vanilla bean lengthwise - try not to puncture through the bottom of the bean. Gently pull apart the bean exposing the insides and scrape out the inside vanilla bean caviar. The vanilla bean caviar is the only part of the vanilla bean that goes into the recipe. Hi, how long does the ice cream keep in the freezer? Hi Saara! This should keep for about 2 weeks! Why does it only keep 2 weeks? If I make it with a blender do i still have to take it our of the freezer ans mix every 4 hours..? Hi Steph! The main reason I don’t recommend keeping it longer is because the flavour starts to fade after awhile. As for the mixing – you still want to take it out and mix every so often to speed up the freeze time. The sides and bottom will freeze faster since those are tough cold sides while the middle takes longer. Mixing it up just helps it freeze quicker. Hope that helps! Is the picture the result without using an ice cream machine ? The second ingredient is “1- 14 oz can full fat coconut milk – separate the coconut cream from the water”. Are we to throw out the water? You don’t need the water in here so you can throw it out if you want or save it to add to smoothies! YUM! Looks absolutely delicious and perfect for the summer! What a great vegan recipe! It’s always good to see posts like yours.